VISAKHAPATNAM: Small and medium enterprises (SMEs) should focus on creating their brand identity and uniqueness that can differentiate them from others to showcase in the market, said Shyam Sekar S, founder and chief mentor at Startup Xperts which is advocating digital marketing. He emphasised the need for the Startups and SMEs to pursue ‘digital marketing’ and position themselves as thought leaders in their space. Addressing the third edition of ‘Start Manage Expand: A Knowledge-led Small Medium Business’ conference organised by Andhra Pradesh Chamber of Commerce and Industry Federation (APCCF) here Wednesday, Shyam Sekar felt that SMEs and Startups could leverage through smart marketing strategies by which they can position themselves better than competition. Effective and smart branding can help win clients, increase revenue and profitability. 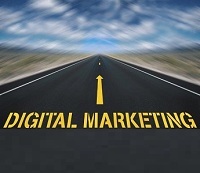 “While pursuing digital marketing tactics, focus should be on the customers and their need. Twin strategies need to be adopted – inbound and outbound, where a right balance between these two, is essential for companies to succeed,” he said. Inbound involves SEO, blogs, and social media posts, while the Outbound include SEM and social media ads. Depending on the industry they are in, market, customer segment, budget and other factors also should be dealt with. “With the right digital marketing evangelist and business consultants, SMEs and Startups can use this opportunity well in our marketplace,” he added. APCCF vice-president and Sravan Shipping Services managing director G Sambasive Rao said that the SMEs were playing a very potent role in all sectors especially in automobile sector to shipping allied services like ship breaking and dry docking. APCCF Vizag chapter chairman Pydah Krishna Prasad spoke on the need for technological knowledge in the prevailing ambience.